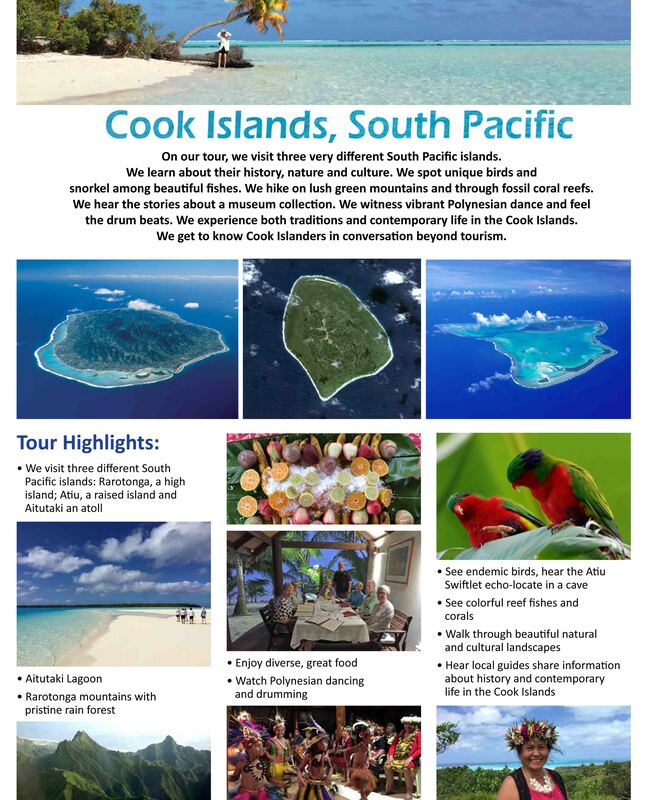 Escape to the South Pacific and explore three incredible islands in the Cook Islands. From the lush mountains and pristine rain forests of Rarotonga, to the dreamy turqouise waters of the Aitutaki Lagoon. The third island on the tour is none other than the beautiful island of birds - Atiu. You tour leader Judith Kunzlé who is an internationally recognised artist for her work on Cook Islands dance, has based this tour on her artists eye. Packed with action and participation, and balanced with being in beautiful places taking it all in.